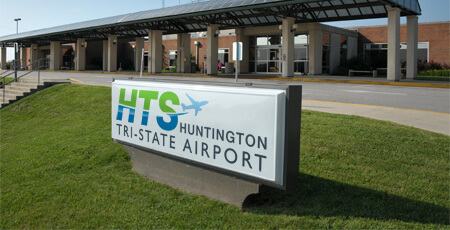 Huntington Tri-State Airport handles commercial airline, air cargo, military, and general aviation traffic. HTS has two major airlines serving five non-stop destinations, including: Charlotte, Orlando, St. Petersburg/Clearwater, and Myrtle Beach. General Aviation services are provided by the Huntington Jet Center (FBO) located next to the main terminal.